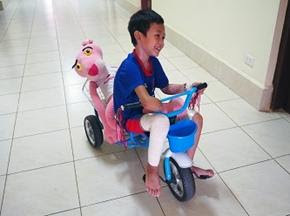 The anniversay celebration is scheduled for January 22 at the hospital in Luang Prabang, Laos. 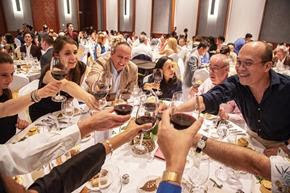 The annual chairty wine-tasting event will be held on Tuesday, January 29, at the Hyatt Regency Hotel Ballroom in Vancouver, British Columbia, Canada.Click here for information and tickets. The hospital is also seeking a volunteer Medical Laboratory Technician for a commitment of one to six months. Lao Friends Hospital for Children is very pleased to welcome Dr. David Brewster as the facility’s new executive director. Dr. Brewster brings a wealth of experience in pediatrics and hospital management to LFHC. He has been active in acute clinical medicine since his graduation in 1973 from the medical school at McMaster University in Canada, and has worked in several countries. Since 2013, Dr. Brewster has served with an Australian Aid Project in the Southeast Asia country of Timor-Leste (East Timor). The project focuses on women and children’s health. He was also responsible there for pediatric postgraduate training. 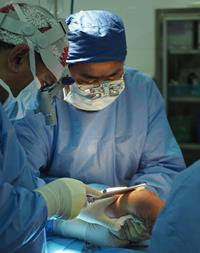 Before leaving for East Timor, he was the Clinical Director of Pediatrics at Canberra Hospital in Australia. 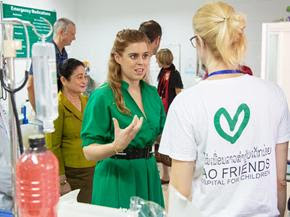 During the past three years, Executive Director Simon Young and Medical Education Director Christine Sanderson have overseen a period of extraordinary growth at Lao Friends Hospital for Children. They will be leaving their posts this month at the conclusion of their three-year contracts, having spearheaded programs and projects that saved the lives of so many children and improved the health of countless others. Six-year-old Thorhua Wa was brought to LFHC last month after her parents became concerned that she wasn’t sleeping well and getting out of bed often to urinate. Doctors determined that Thorhua was afflicted with malnutrition-related diabetes. This is not a condition that LFHC doctors see very often and is extremely complicated to manage. Malnutrition-related diabetes is similar to Type 1 diabetes, but patients require 2-3 times more insulin to manage their disease. 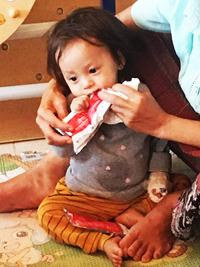 The staff instructed Thorhua’s parents about how to proceed after measuring her glucose, how to inject insulin safely, and how to read her symptoms — especially for signs of low blood-sugar which can cause seizure, coma or death if not quickly recognized and treated. The nutrition team devoted much time to teach the family about managing Thorhua’s diet. Breastfeeding is extremely important to the health of a newborn infant. At LFHC, nurse Keo Sysaythong serves as the hospital’s lactation consultant. 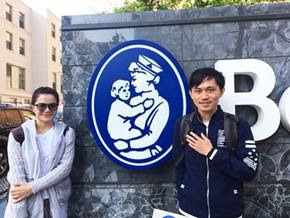 In early 2017, Keo expressed an interest in learning more about maternal health and what could be done to help new mothers properly breastfeed their infants. Since then, she has completed breastfeeding training with specialists from France and Australia. She now spends two afternoons a week in LFHC’s Neonatal Unit, helping mothers express milk and feed their babies. 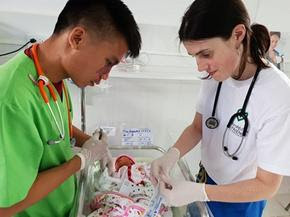 She is also putting her knowledge to work in the maternity ward of the Luang Prabang Provincial Hospital. 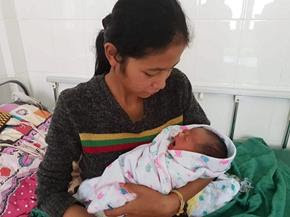 Hospital administrators say Keo’s passion and love for her job are contagious, and her patience and gentle nature make her an incredibly valuable support person for new mothers. 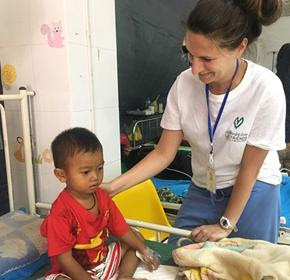 Representatives of AccorHotels recently celebrated Solidarity Week with the patients, their families and staff of Lao Friends Hospital for Children. The group treated everyone to lunch (and cupcakes) and brought gifts and games for the children. They also provided a bit of musical entertainment for the children and managed to get a few of our doctors to sing along with them. The AccorHotels group included representatives from Pullman Luang Prabang, Sofitel Luang Prabang, the 3 Nagas boutique hotel and SSMI financial consultants. Friends Without A Border and the LFHC staff thank AccorHotels for bringing many smiles and much laughter to the children. LFHC now conducts 12 short courses in subjects ranging from Excel software to neonatal nursing to wound care. 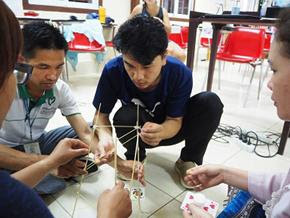 The courses were designed and developed by the hospital’s Lao staff members, who also serve as course instructors. By having the Lao staff teach the content, the hospital is helping them develop as leaders and specialized trainers. 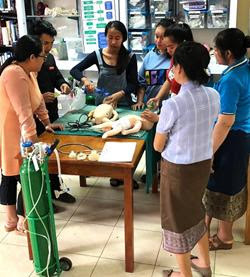 These staff members have also been teaching courses at other health care facilities in the region on such topics as breastfeeding, triage and basic life support. FWAB Photo Auction: A Picture of Success! The 20th Annual Friends of Friends Photography Auction proved to be a dazzling display of art and generosity. 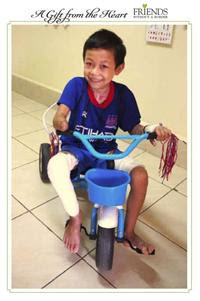 The Dec. 12 event raised more than $163,000 (gross) for the benefit of Lao Friends Hospital for Children. More than 100 artists contributed their works to the auction. 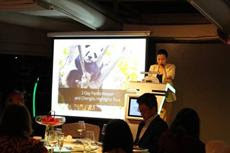 A crowd of more than 150 attended the event at The Highline Loft and were very active in the live and online auctions. The Board of Directors and staff of Friends Without A Border thank all who attended and participated in the auctions. Friday, October 12, at The Capitol Hotel Tokyu, Tokyo. For information, contactfriends@fwab.jp or Akiko@fwab.org. Thursday, October 25 at the Renaissance Hong Kong Habour View Hotel. Click here for tickets. Wednesday, December 12, at The Highline Loft, 508 W. 26th St., New York City. Click here for more information. 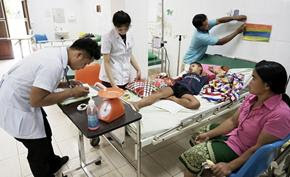 Not only was August one of the rainiest months of the year in Laos, it was also the busiest month in the three-year history of Lao Friends Hospital for Children, according to the most recent data available. 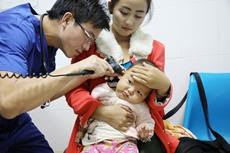 Doctors and nurses working in the Outpatient Department and Emergency Room treated 2,039 children in August, the largest number of patients in a single month since the hospital opened in 2015. The outpatient numbers also have risen more than 200 percent in two years, LFHC administrators reported. Inpatient numbers also were high, with more than 200 children hospitalized during August. Furthermore, these children have remained hospitalized for longer periods than in the past. Many were treated for bone infections, chronic skin wounds, malnutrition and encephalitis. 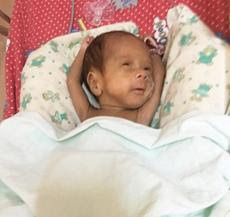 Doctors at Luang Prabang Provincial Hospital delivered Airnoy Xong in mid-August by performing a cesarean section. His mother had been rushed to the hospital because she was bleeding and doctors had diagnosed placenta previa, a pregnancy complication in which the placenta covers the woman’s cervix. 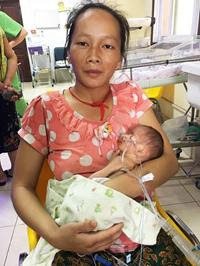 Born after a 32-week pregnancy, Airnoy Xong weighed less than four pounds. His family was told that the infant had very little chance of surviving. He was immediately brought to the Neonatal Unit at LFHC, where a doctor administered CPR and ensured an oxygen flow to his premature lungs. 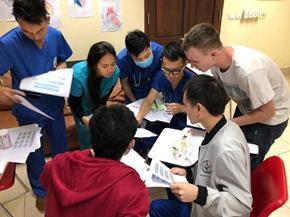 A team from the nonprofit organization, RAD-AID, has installed the Picture Archiving and Communications System (PACS) and is training technicians from both hospitals in its operation. Read more here. Nurses at LFHC began this month to attend classes in the nursing anatomy curriculum. Instruction focuses on the nervous system. They’re learning about the brain and spinal cord and the way nerves control and regulate the body. The hospital employs more than 40 nurses and they all receive continuous education from a Nurse Educator and a Lao Nurse Educator. In addition to classroom instruction, nurses gain hands-on training every day in the clinical areas of the hospital. 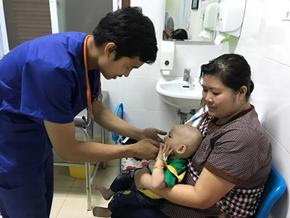 LFHC’s role as a teaching hospital is vital to the mission of Friends Without A Border: to train a new generation of Lao Health Care professionals who will spread their knowledge of modern pediatrics throughout Laos and Southeast Asia. 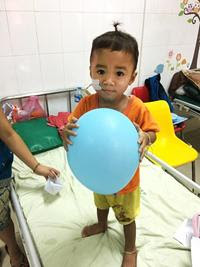 We’ve attained 27 percent of the goal in our GoFundMe campaign to raise money to purchase medicine for Lao Friends Hospital for Children. Please help us reach this goal. If you cannot make a contribution (or have already made a donation), please spread the word. Tell your family and friends. Post a link to our GoFundMe campaign on your Facebook page and your Instagram page. Tweet about it. We are extremely grateful to those who have contributed to the campaign thus far. 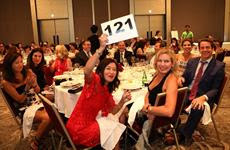 More than 200 supporters of the Angkor Hospital for Children attended the 19th Annual Friend of Friends Event on Sept. 22 in Manhattan. This year’s event netted about $25,000 for AHC, making it the most successful fundraiser for the hospital in recent memory, organizers said. 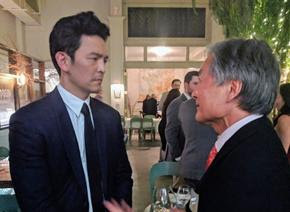 The event was held at a new location — the Royal Seafood Cuisine in New York City’s Chinatown — and attracted many new supporters as well as many longtime friends. Heartfelt thanks to everyone who made the event a night to remember! 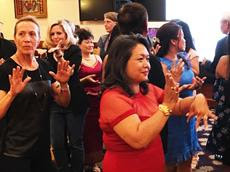 The annual event is organized by Cambodian Americans and their friends. 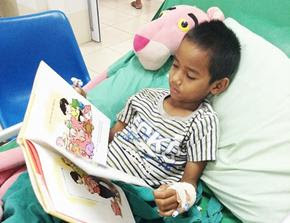 Friends Without A Border opened AHC in 1999, the first pediatric facility built and operated by the organization in Southeast Asia. AHC became an independent, self-managed hospital in 2013. 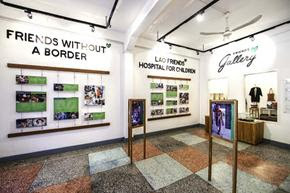 The staff and board members of Friends Without A Border will be traveling to Southeast Asia to celebrate the fourth anniversary of the opening of Lao Friends Hospital for Children on January 22 and the 20th anniversary of the Angkor Hospital for Children on January 25. You are invited to join them for these momentous occasions. You’ll enjoy a custom-designed itinerary that will make the most of your trip. You’ll be taking advantage of our staff’s 20 years of learning the area and seeing the best of Southeast Asia in either a one- or two-week itinerary. The adventure will take place in late January. 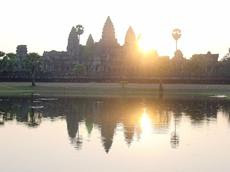 You’ll tour sites in Laos and Cambodia for one week and have the option of adding a visit to Vietnam as a second week of the trip. For more information about the journey, please contact Friends Without A Border Executive Director Nicole Pagourgis at nicole@fwab.org. October 19-21, Luang Prabang, Lao PDR.Click here for race registration. 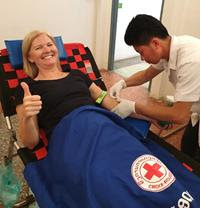 LFHC recently developed a new and important relationship with the Swiss Red Cross. 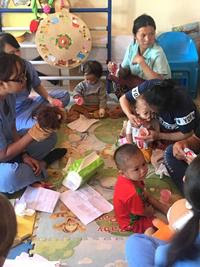 Our hospital staff trained Red Cross health care workers from various districts in Laos in techniques designed to promote breastfeeding among new mothers. 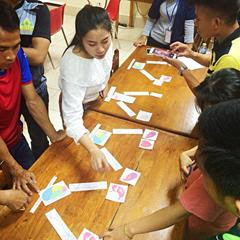 Our staff developed a two-day curriculum during which they taught 10 Swiss Red Cross and government employees how to counsel mothers on breastfeeding and proper diet. A focus of the effort is to stress the importance of breastfeeding to the health of a newborn infant. This new relationship with the Swiss Red Cross furthers LFHC’s capacity-building efforts in the country. 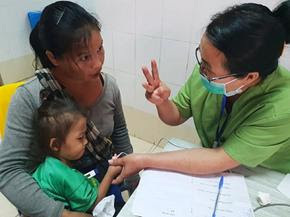 By maintaining an effective Outreach Team and working with other nonprofits, hospitals and the Lao government, LFHC is expanding its services and knowledge beyond its hospital walls. 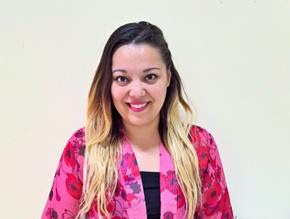 Aya Husni Bey, a therapeutic play practitioner and holistic counselor, recently wrote about her experiences as a volunteer at LFHC for the My Molatravel blog. 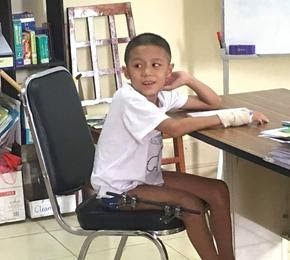 She spent four months at the hospital and participated in the remarkable recovery of a six-year-old boy who fell from a tree and seemed to have no chance of surviving. “Of course, the human body and spirit can be wonderfully unpredictable anywhere, but it seemed right and fitting to me that such an utterly confounding, joyful recovery would occur in this magical, spiritual setting,” Aya writes. Read her account of her time at LFHC here. The Grand Opening of the new Friends Gallery is scheduled for Thursday, Oct. 18, the day before theSecond Annual Luang Prabang Gala. The gallery is becoming a must-stop boutique for tourists. It offers the best in housewares, clothing,jewelry and textiles from such high-end shops as Hoi Sang, Carol Cassidy, Caruso Lao, Naga Creations, Ock Pop Tok, Anakha, Eric Raisina, Ma Te Sai, GAEBI and Gallery Asiama. Gallery sales help finance operations of the hospital. 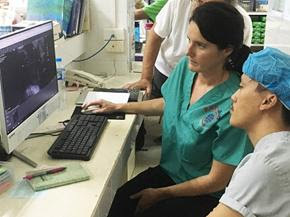 Thirteen-year-old Maixong Yang was brought to LFHC in late June with a serious infection around an area where her right arm had been recently amputated. She had been badly burned when she came into contact with an electric wire. She was taken to a hospital near her home and doctors there did everything they could, but her arm was so severely burned that it had to be amputated. LFHC doctors immediately began to treat Maixong with cephalexin, an antibiotic effective in the treatment of skin and bone infections. The also adminstered the pain-killers paracetamol and ibuprofen and gave her multivitamins to boost her strength. She has received several wound dressings and is responding well to treatment. Doctors have treated several children for electrical burns since the hospital opened in 2015. A few patients have needed amputations. 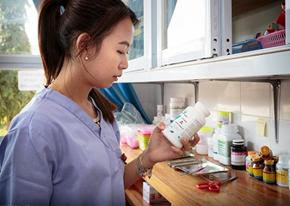 Such cases underscore the critical importance of proper wound care and the need for specific medications to fight infection — and our growing caseload has created a need to increase the hospital’s pharmacuetical supplies. 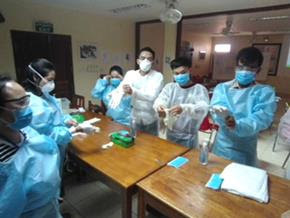 Singkham Saiykhamheuang (Kham), a laboratory technician at LFHC, recently completed a two-week training course at Chiang Mai University in Thailand. The course included instruction in method validation, which is the process used to ensure that laboratory equipment functions properly and generates accurate results. Kham’s training is quite timely in that LFHC expects delivery of new lab equipment very soon. 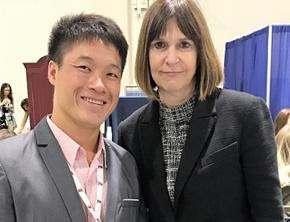 Kham is looking forward to applying his new knowledge to improve the quality of our existing lab equipment and running a project to introduce the new equipment next month. The LFHC lab performed more than 3,280 tests during the first half of 2018.